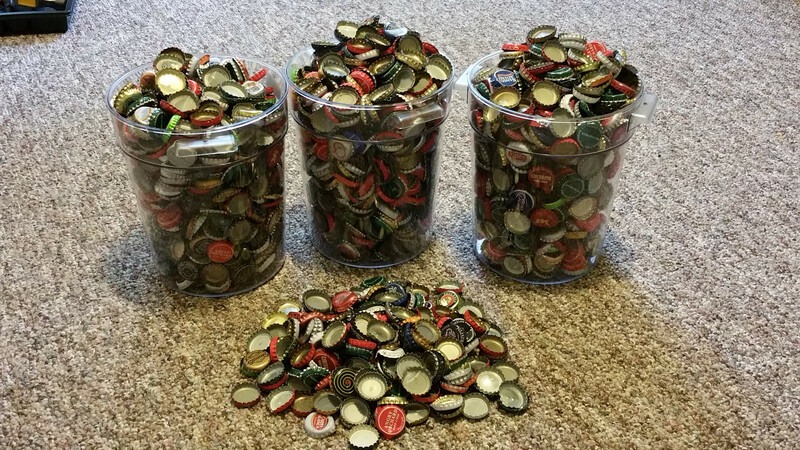 With the excitement building before the November 10th release date for the latest instalment of the Fallout series, one enterprising fan has managed to snag himself a copy of the game with about 2,240 bottlecaps. For those of you unfamiliar with the Fallout games, (where have you been, hiding in a nuclear bunker?) bottlecaps are the currency used in its mad, post apocalyptic setting and one guy has been saving his since getting hooked on Fallout 3 back in 2008. 4.5 years of being an undergrad and 3 years in a Master’s program obviously meant a lot of drinking and by the time Fallout 4 was announced he had over 5 kilos of them. Bethesda, being no fools and spotting a massive PR opportunity have responded, via their head of community Matt Grand, that since he was the first person to do this, he will get the game for free come release date. 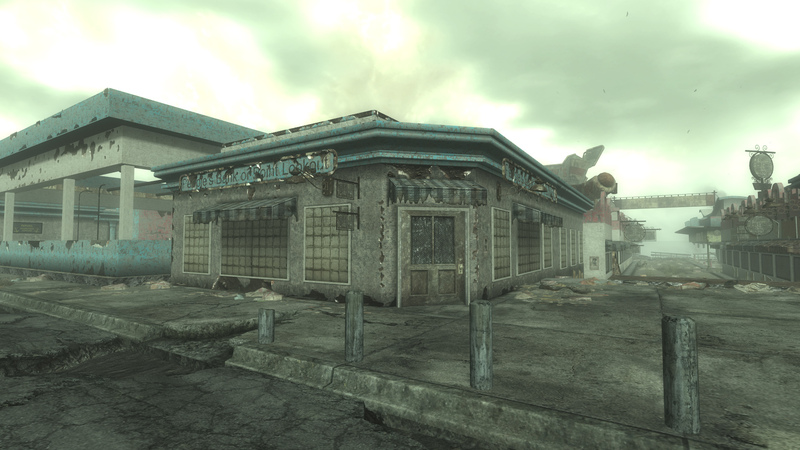 The bottlecaps have been safely deposited in People’s Bank of Point Lookout (that’s an ingame reference, In case you don’t know) and Matt has tweeted this. No doubt, now that this has been done, people will seek to repeat it every time a new entry to the series comes out, so the bar will be raised considerably next time around. 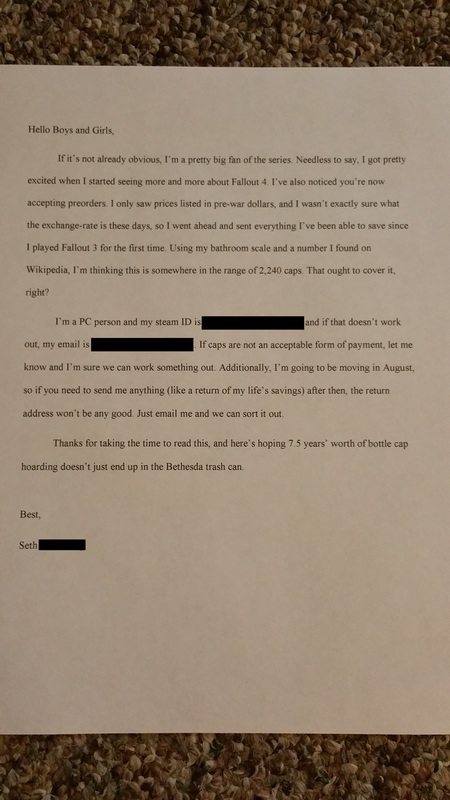 If you want a copy of Fallout 5 for free (excluding permanent liver damage and the cost of shipping bottlecaps to the US) you’d better start drinking. Geek Power's answer to Jeremy Clarkson. That's to say he's a sad, middle aged man with a big mouth who's trying to act like he's still in his twenties. he remembers the days of punch cards, paper tape and hard drives the size of toasters with the capacity of the kind of usb stick you might get in a Christmas cracker.